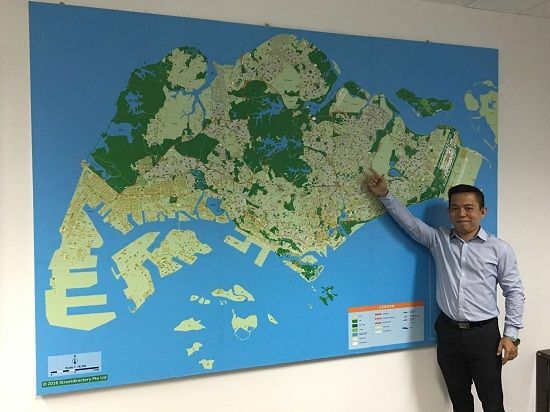 There nine sub-zones in Clementi; Toh Tuck, Sunset Way, Faber, Clementi North, West Coast, Clementi Central, Clementi Woods, Clementi West and Pandan. Clementi is about 9 Sq Km with an estimated 120,000 residents. Clementi has a multitude of small shops and hawker stalls, and closely located is the Clementi MRT (Mass Rapid Transport) Station which serves residents. The Eng Wah Empress Cineplex has been closed and undergoing redevelopment. The renovations of the new entertainment complex should be completed by the year 2008. A 40-story complex, comprising of housing and commercial zones, a public library and a renovated bus interchange will be built on the site of the old Clementi bus interchange. Renovations are said to be completed in 2010. For now a temporary bus interchange has been built across from the old interchange. Just slightly further down the town centre is Ginza Plaza. The complex serves residents living in the West Coast area. The National University Of Singapore is also located within the area. This area is named after Sir Cecil Clementi Smith, an accomplished Chinese scholar and the Governor of the Straits Settlements from 1887 to 1893. Part of Clementi used to be swamp land, while the other areas comprised of villages with cottage industries and a farm. A rather matured estate (Clementi, West Coast, Pandan) and quite a popular place as it is close to the National University of Singapore, Singapore Polytechnic and Ngee Ann Polytechnic. Waterfront housing has recently been developed along Sungei Ulu Pandan. There are some factories along Pandan and Toh Tuck area.